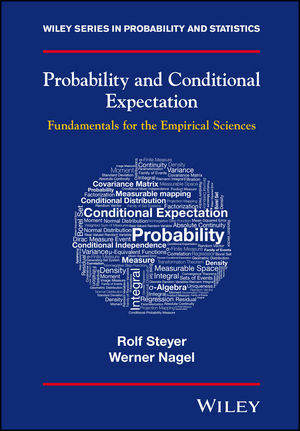 Probability and Conditional Expectations bridges the gap between books on probability theory and statistics by providing the probabilistic concepts estimated and tested in analysis of variance, regression analysis, factor analysis, structural equation modeling, hierarchical linear models and analysis of qualitative data. The authors emphasize the theory of conditional expectations that is also fundamental to conditional independence and conditional distributions. Presents a rigorous and detailed mathematical treatment of probability theory focusing on concepts that are fundamental to understand what we are estimating in applied statistics. Explores the basics of random variables along with extensive coverage of measurable functions and integration. Extensively treats conditional expectations also with respect to a conditional probability measure and the concept of conditional effect functions, which are crucial in the analysis of causal effects. Is illustrated throughout with simple examples, numerous exercises and detailed solutions. Provides website links to further resources including videos of courses delivered by the authors as well as R code exercises to help illustrate the theory presented throughout the book.